Religious journal First Things featured an article on their blog encouraging parents to continue reading out loud to their children. Mark Bauerlein, Senior Editor of First Things and author of the article says that many parents cease to read to their children when they themselves learn to read and suggests that this is a mistake, pointing toward both emotional and intellectual reasons. Bauerlein indicates (using statistics from a Scholastics poll) that literate children enjoy and want their parents to continue to read to them and highlights the benefits of retention and comprehension that go along with this practice. Given this, what would it mean if parents were to incorporate ongoing reading of the Bible with their children? 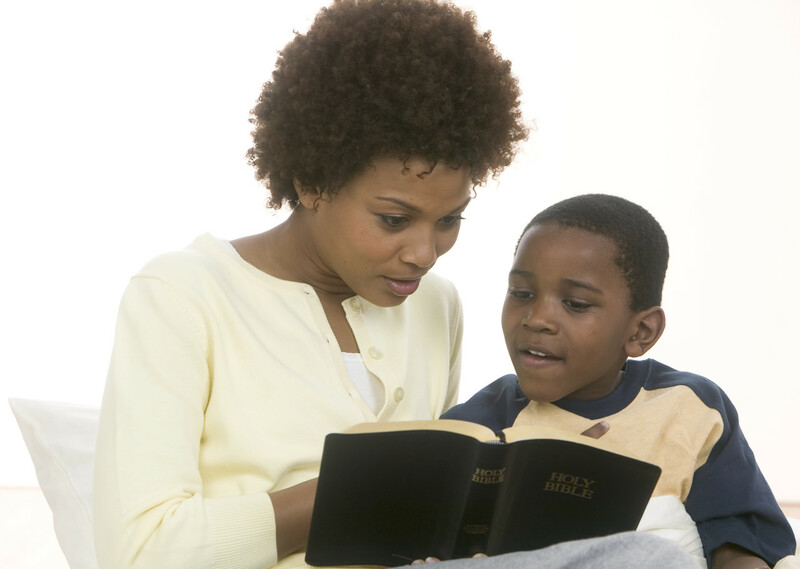 What if parents move beyond the children’s Bible storybooks as their children move past the toddler years and establish the practice of reading Scripture out loud with their 6-11-year-olds? Moreover, what about cultivating the practice of reading Scripture out loud in our homes as families of all shapes and sizes? Certainly such practice encourages lives of discipleship and helps us to recognize that our lives of faith extend beyond the walls of our church buildings. And as Anglican’s we’re fortunate. If we’re at a loss as to where to begin, we are given a rubric for establishing a regular pattern of worship in the home right in The Book of Alternative Services (p. 685-697) and the Revised Common Lectionary provides us with a guide to daily Scripture readings. What more could we ask for? Blog post written by the Reverend Pamela Rayment. Pamela serves as incumbent at St. John the Evangelist Anglican Church in Sault Ste. Marie, Ontario and works as the Program Associate and Child and Youth Ministry Facilitator for the Deanery of Algoma. January 21, 2015 in Child & Youth Ministry, Congregational Development, Learning, Miscellaneous.